The Wheat Grinding Machines, discussed in this post, are basically used in hotel, canteens, restaurants and other industrial kitchens. 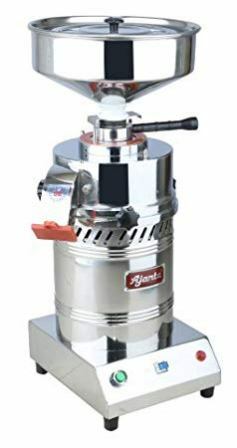 Here is this post we are discussing about 3 Top Class Wheat Grinder Machines with different features, price, specifications and machine manufacturers in different location in India. Bharat Sales Corporation offer carefully designed Wheat Grinding Machine, which is extensively used in hotels, canteens and other industrial kitchens for pure and fresh wheat and other grain flour within minutes. These models are designed with optimum quality materials and heavy cast iron body which encompasses bearing blocks and bush blocks that further results in enhanced productivity. In addition, these machines are also offered in varied specifications to meet the requirements of clients. Bharat Sales Corporation are involved in manufacturing, exporting, importing, trading, wholesaling and retailing a comprehensive range of Food Processing & Pharmaceutical Machines that comprises products like Kitchen Equipment, Herbs Grinder and Baking Machines. 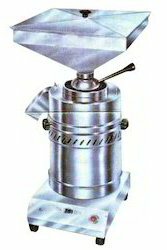 The price of the said Wheat Grinder Machine is approximately Rs. 6500/piece. This Wheat Grinding Machine is basically used for domestic purpose. The price of this machine is approximately Rs. 10000/piece. You may buy this machine from Amazon. “Alfa Equipment” is a trusted name amongst the topmost companies in this business, instrumental in presenting Electric Wheat Grinding Machine. 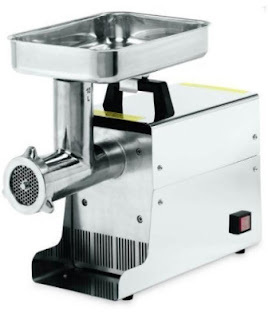 “Alfa Equipment” is a Proprietorship Firm, indulged in manufacturer optimum quality Wheat Grinding Machine, Bain Marie, Display Counter, Stainless Steel Trolley and much more. The price of this Wheat Grinder Machine is approximately Rs. 15000/piece.